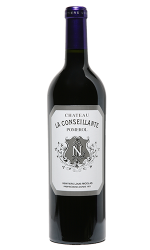 The 2016 Primeurs campaign continues today with the following release from Chateau La Conseillante in Pomerol. Chateau La Conseillante owes its name to a former owner, Catherine Conseillan. Starting in 1871 the Nicolas family, the current owners, acquired the chateau. The vines of the nearly 12 hectare estate are planted on gravel and clay in the Pomerol appellation. The grape varieties planted are Merlot and Cabernet Franc. Using both tradition and modernity, the teams at Chateau La Conseillante strive to extract the best expression of the terroir and wines of unmatchable quality.